Platelet Rich Plasma (PRP) therapy helps kick-start the body’s natural processes that increase healing, repair and tissue strengthening, effectively reversing signs of ageing from within. With a history spanning decades in the medical industry, PRP is a regenerative and rejuvenating procedure with countless options for application. PRP has been used in dental, spine and orthopedic applications, sports medicine for treating injured joints and muscles and, now – PRP has entered the cosmetic anti-ageing arena. PRP can be used to treat a number of different concerns, including pigmentation, sagging skin, enlarged pores, fine lines, scarring and uneven skin tone. PRP is amazing for scar healing, in the backs of hands, to treat loose skin at the top of the arms, as well as the face and neck. ​Once PRP is injected, or needled, into the body, the blood platelets release proteins called growth factors, which communicate with the body to trigger the natural healing process. This helps kick-start skin cell turnover, stimulate collagen production at the site and invigorate the area with heightened cellular activity. PRP can play a role to improve damaged skin by stimulating collagen growth and skin blood supply and help improve skin texture and elasticity. This can be a great option for younger patients seeking to reduce the early signs of skin ageing, and it is also ideal for older patients to incorporate PRP with other treatment modalities to achieve even greater results. This is also a great treatment for men who want results that are subtle and discreet. Patients appreciate that they are harnessing their body’s own repair mechanisms, rather than injecting foreign materials into their body. As we are using patient’s own blood for the procedure, the risk of a reaction or infection is extremely low. ​With PRP working within the skin to harness a natural rejuvenation, other treatments such as wrinkle relaxants can be used in conjunction to achieve an overall, synergistic rejuvenation. 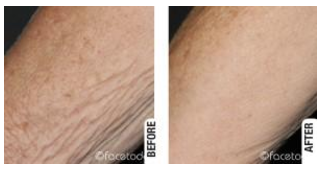 Using micro-dermal needling over the top of the skin gets a double effect. PRP treatments can be tailored to each individual patient. Commonly, a series of three treatments, four to six weeks apart, are performed to achieve the best result. The treatment itself is performed under topical anaesthesia, and takes about 45 to 60 minutes, depending on the area being treated. 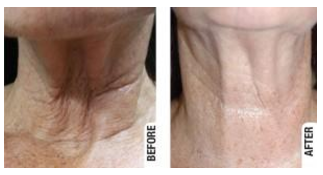 An improvement in skin tone and texture is expected in the weeks following treatment, with these initial results continuing to improve for six to nine months post-procedure, as new collagen is laid down in the dermis. Whether you’re looking to improve scar healing after surgery, treat an ageing neck or simply rejuvenate and brighten the complexion, PRP offers effective, natural-looking and long-lasting results. Hair loss in both men and women can be an embarrassing and traumatising experience. The regenerative properties of PRP, and the way it works to accelerate and optimise the body’s natural processes, has led to the use of PRP to prevent – and even reverse – hair loss. We are seeing some very effective results with hair growth from PRP. One client who shaves his head because of baldness, found his grey hair changing back to black, and experienced hair growth in places where he hadn’t had any growth in years. 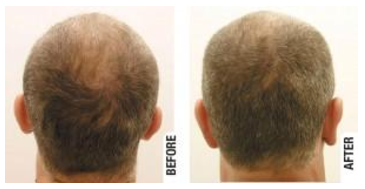 Similarly, PRP can be used in conjunction with traditional methods to treat a balding head. Some doctors recommend a combination approach of oral medication and topical medication on the scalp. Adding PRP to these treatments helps improve blood supply to the skin and can be a useful adjunct to hair loss treatment.